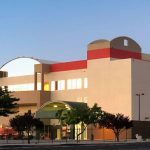 PRESCOTT VALLEY, Ariz. — Friday, July 13th will be a lucky day for those in the region wanting a new place to bet on horse racing as well as another entertainment venue. The new Arizona Downs is bringing back wagering on racetracks across the country to the site of the old Yavapai Downs on July 13. Arizona Downs’ simulcast room is being constructed on the first floor of the grandstand, part of more than $2 million in renovations planned. The facility will be open seven days a week beginning at 9 a.m. MST. Admission and parking are free. Yavapai Downs last ran in 2010. The facility was bought out of bankruptcy court in January by J&J Equine Enterprises LLC, an entity formed by brothers and Phoenix-based JACOR Partners principals Tom, Dave and Mike Auther and their partner Joe Jackson, along with longtime racing executive Corey Johnsen. Live thoroughbred and quarter-horse racing in the summer will return to Arizona in 2019, with Arizona Downs running Memorial Day weekend through Labor Day. The new owners chose to change the track’s name from Yavapai Downs to Arizona Downs to reflect the restoration of a year-round circuit to the state, as well as its importance to all facets of Arizona’s racehorse industries. The opening comes right before the start of two of the nation’s most popular tracks for handicappers, with Southern California’s Del Mar opening July 18 and Saratoga in upstate New York commencing July 20, as well as prominent summer signals such as Kentucky’s Ellis Park, Arlington Park in suburban Chicago, Florida’s Gulfstream Park, Monmouth Park in New Jersey and Minnesota’s Canterbury Park, where a number of Arizona trainers have spent summers since Yavapai Downs closed. Los Alamitos’ quarter-horse racing also will be a featured signal. Arizona Downs’ launch of its onsite off-track betting facility is the first step toward creating an in-state network of simulcasting outlets affiliated with the track in order to further strengthen purses paid out to racehorse owners. The former Yavapai Downs horse track will reopen with a new name – Arizona Downs. The new ownership of the horse track in Prescott Valley has changed Yavapai Downs’ name to Arizona Downs. That was the name of a former racetrack in Phoenix that opened in 1951 at one site and later ran its annual race meetings by leasing Turf Paradise before ceasing operations in 1985. Yavapai Downs last ran in 2010. The facility was bought for $3.22 million out of bankruptcy court in January by J&J Equine Enterprises LLC, an entity formed by brothers and Phoenix-based JACOR Partners principals Tom, Dave and Mike Auther and their partner Joe Jackson, along with longtime racing executive Corey Johnsen. The new Arizona Downs will re-open to the public in July for simulcasting. Live racing is scheduled to begin in 2019, with a meet running from Memorial Day weekend to Labor Day. Plans call for off-track wagering facilities in sports bars and restaurants throughout the state. 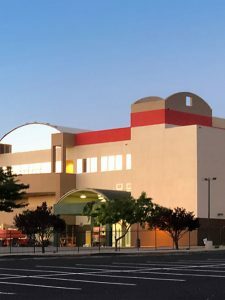 Ann McGovern, Arizona Downs’ general manager, has been overseeing more than $2 million in improvements to the facility. The general contractor is Midwest Construction, which has handled major renovation projects at Kentucky Downs, Remington Park and Lone Star Park. Arizona Downs sits on 120 acres on the northeast edge of Prescott Valley, located eight miles from downtown Prescott in a rapidly growing market.